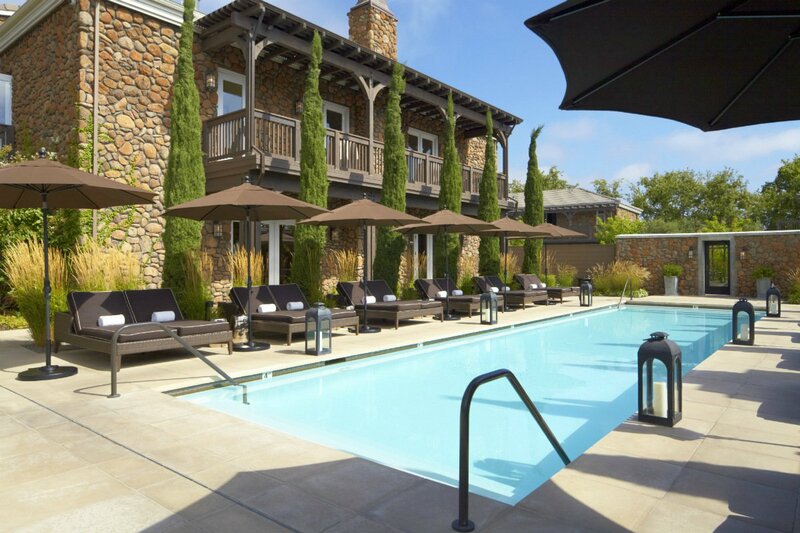 All photos courtesy of Hotel Yountville. Tucked away in the heart of wine country sits a charming, bucolic paradise, where the number of Michelin stars outnumber the square mileage and the vino flows free: Welcome to Yountville. The town, named for the presumed first English-speaking resident and first winemaker of Napa County, Charles C. Yount, is one of the oldest incorporated towns in California and has long been a quaint haven for winemakers and oenophiles alike. With the opening of Thomas Keller’s renowned The French Laundry, a number of sublime restaurants followed suit and put Yountville on the map, so to speak. 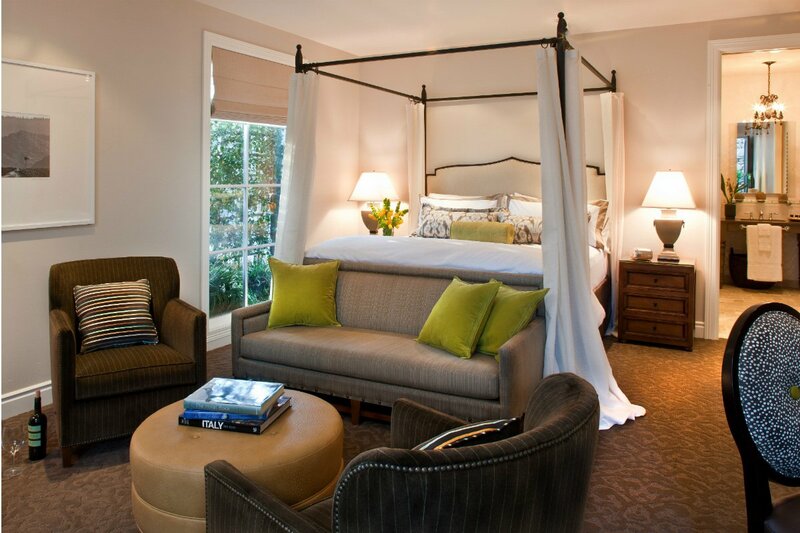 Still, Yountville has managed to preserve its cozy, rustic feel, and perfectly captures the town’s down-to-earth ethos. Style: A charming, country-chic retreat constructed from Napa river rocks and exposed timber beams captures the natural beauty of the surrounding valley while still maintaining an elegant, modern feel. 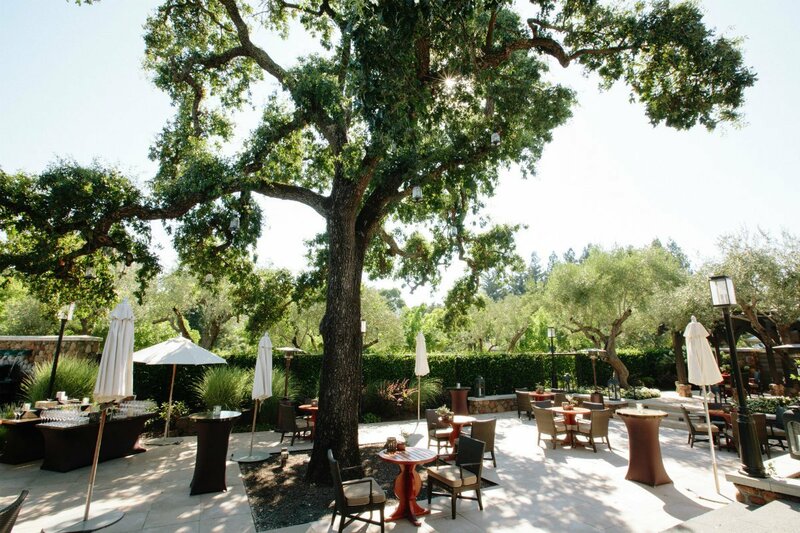 Standout Detail: The centuries-old Heritage Oak tree, the oldest in the valley, around which the property was constructed and after which the hotel’s on-site restaurant was named. 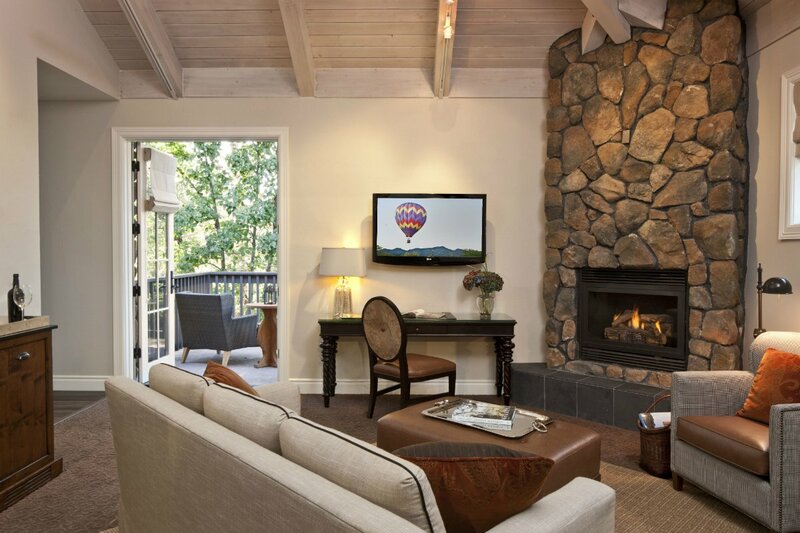 This Place is Perfect For: Couples splurging on a romantic wine country getaway and au courant oenophiles looking for a tasteful place to bed down while exploring nearby vineyards. Rooms: 80, designed with the simple, sophisticated aesthetic of a stylish country home. 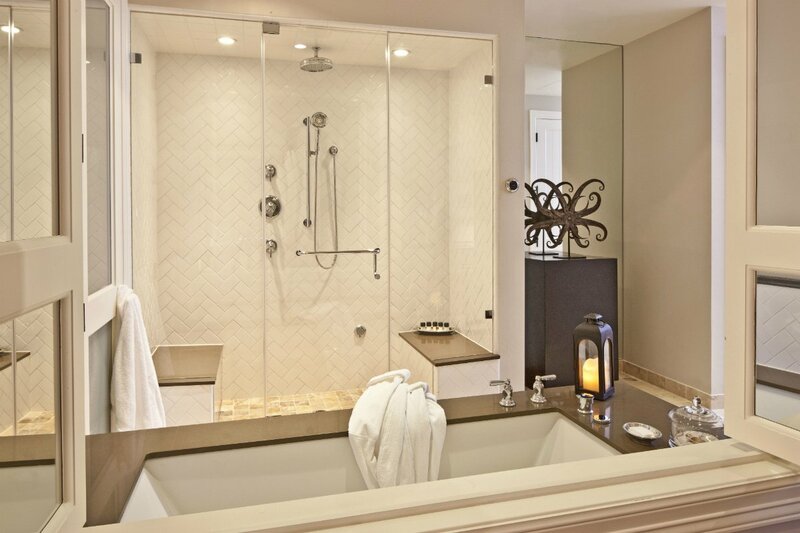 Fieldstone fireplaces, high vaulted ceilings, whitewashed exposed wooden beams, four poster beds, and a bright, earthy palette lend each room a rustic feel, and in the bathroom, sunken tubs are the height of comfort. Complimentary WiFi, LCD TV, tea and coffee maker, and a fully stocked minibar come standard, and pet-friendly amenities are available upon request. 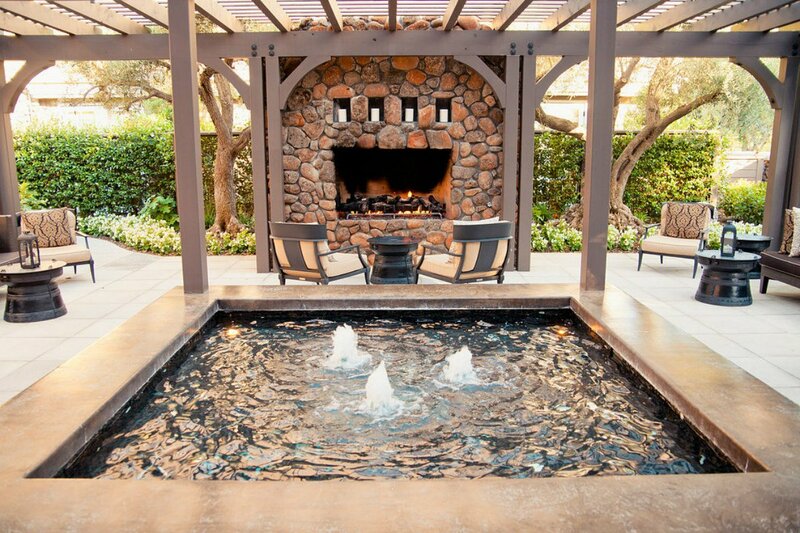 On Site: , offering a variety of therapies in six treatment rooms, an 80-person private event space with adjoining terraces, a fitness center, an outdoor pool and poolside lounge with a firepit, and complimentary bicycle rentals. 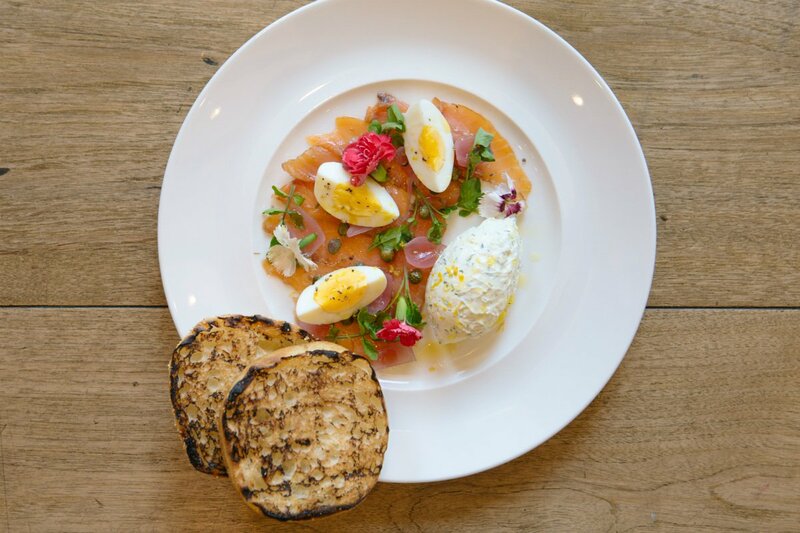 Food and Drink: , the hotel’s signature restaurant, serves decadent, modern American breakfast and lunchtime fare that highlights fresh, locally-sourced ingredients. Guests can dine on the outdoor terrace, poolside, in-room — and have a meal delivered via three-wheel bicycle — or order a prepared picnic basket to take on the road. The Lobby Lounge is an intimate spot for cocktails and small bites. Rates change seasonally and start at $600/night. , or get in touch with the Popupla Travel Concierge, and we can plan your trip for you. With over 400 vineyards in and around Yountville, chances are you’re here (at least in part) for the wine. Start with vineyards, estates, and tasting rooms, then work your way outward to the rest of the valley (just beware the wine hangover). The town is also home to some of the valley’s best restaurants, including Thomas Keller’s , , , and , to name a few. Locals will tell you that the best way to see the valley is by hot air balloon, and plenty of tour companies around the area organize flight excursions. The main shopping drag is along Route 128 through the town of Saint Helena, about a 20-minute drive from the hotel, where you’ll find clothing boutiques and charming home stores.